In today’s news, I posted a composition breakdown of vertical scenes for interested Patrons. 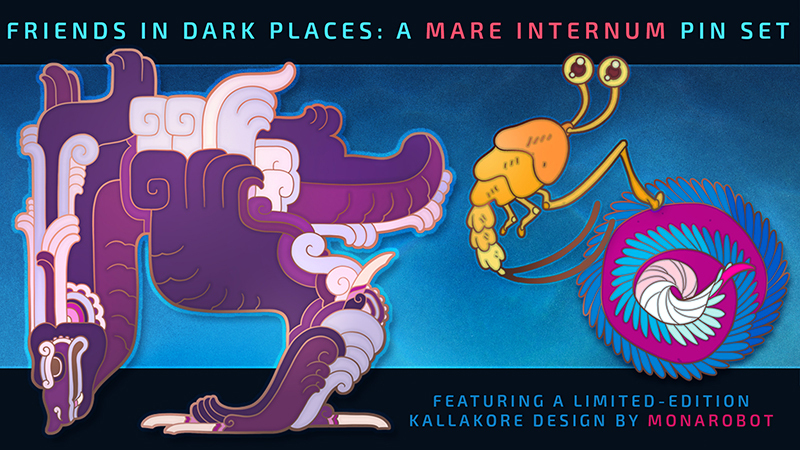 And, thanks for making the Mare Internum pin Kickstarter a success! Running low/ ran out of some tiers, but a new tier unlocked with the option of a personalized encouragement to you from a character, that should be fun to draw for a few backers XD You can check out the campaign below if you haven’t already. Kalla is leaving or she’s updating herself? Also, is she purposely blocked from understanding martian? If she’s updating, she’ll get that Becca is not recognised, but how much of the events around that will she get? Maybe Kalla just wants to take a shower- reincarnation can leave you with a bad case of B.O. Oh dear, wrong human, and what is this strange feeling of dread? I’m out! How curious that Kalla can’t understand Threvi, guess Rebekah will have to play translator! I love Kalla beautiful face so much. Also, I really hope that Kalla hasn’t killed Levi or something. WILL THIS CIRCLE OF CLUELESS MURDER NEVER STOP? I think Bex is splashing Kalla with water? 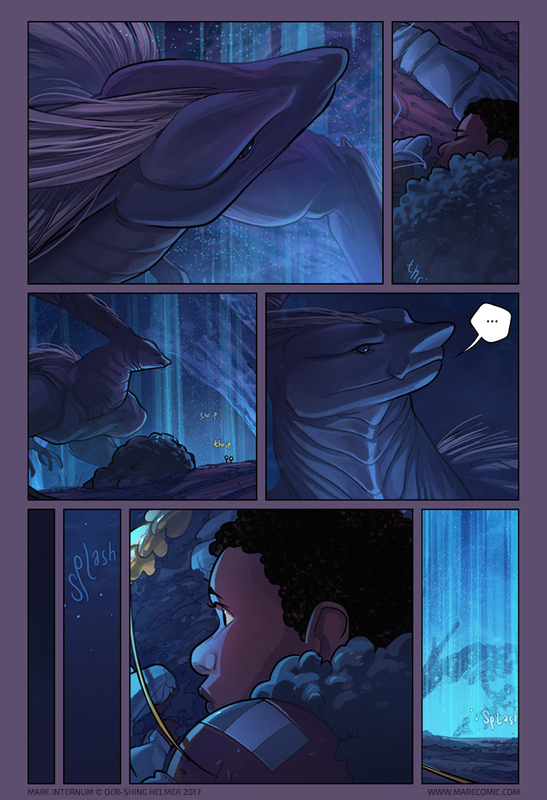 The artwork and composition of this page is incredible. It’s so beautiful!! That strange human didnt kill Mikes Thrip… so she cant be this bad? Could that splashing be… MIKE?? Are we about to be witness to a beautiful reunion? Or just more horrible martians come to kill people we like? Kallakore didn’t see Bex killing her, and anyway Kalla herself guessed she’d died looking for the processor with Levi and doesn’t remember how.